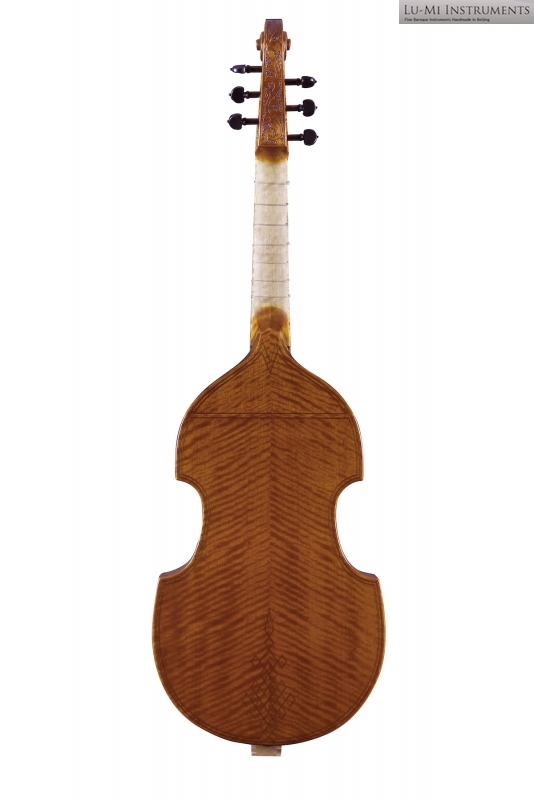 This model is scaled down from the treble viol of Jaye. 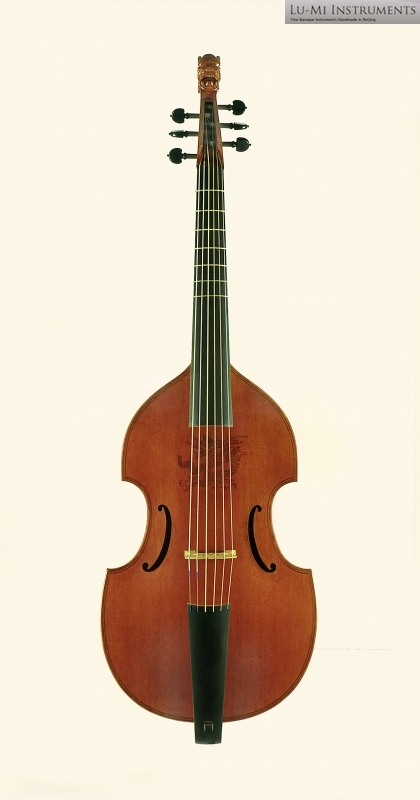 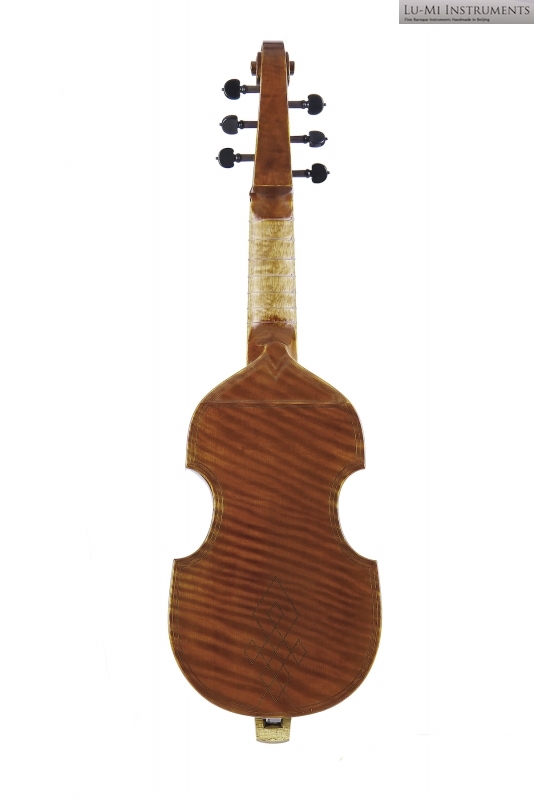 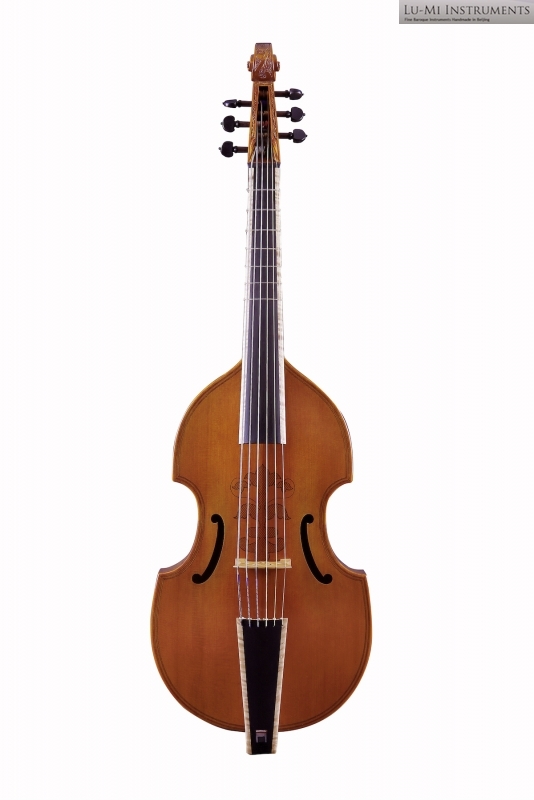 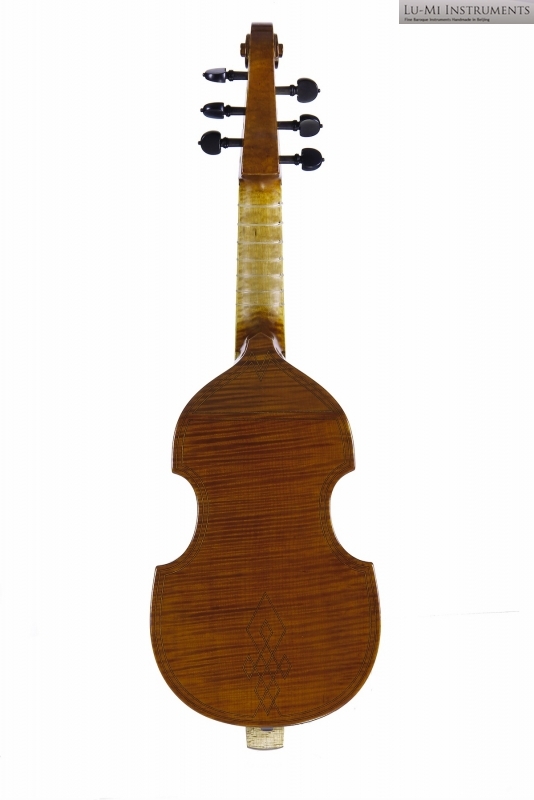 The smaller of the two Lu-Mi treble viol models. 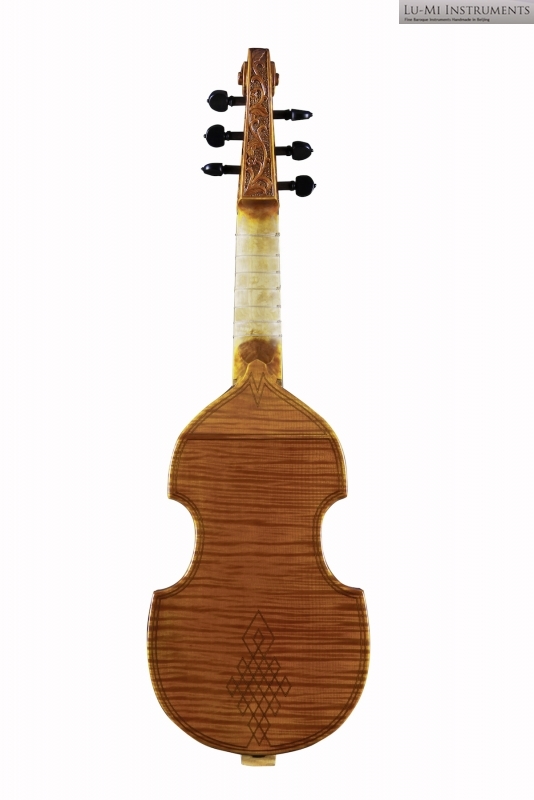 The top gives a sweet tone. 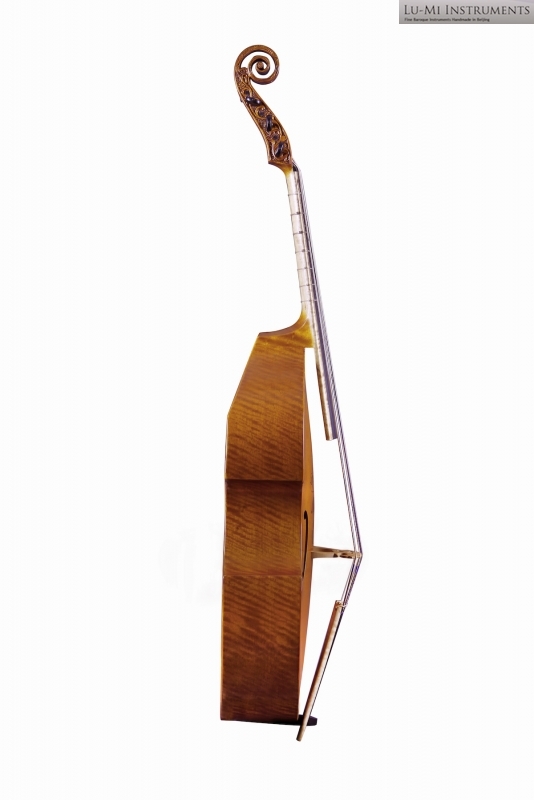 The bass register is not so good with all plain gut strings. 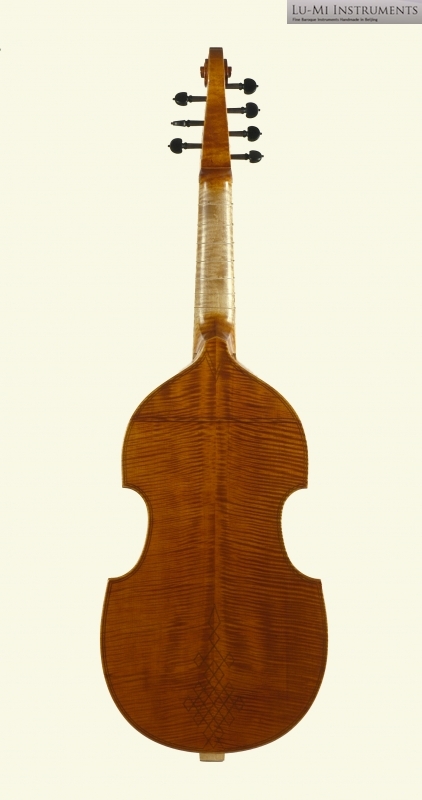 The larger of the two Lu-Mi treble viol models. 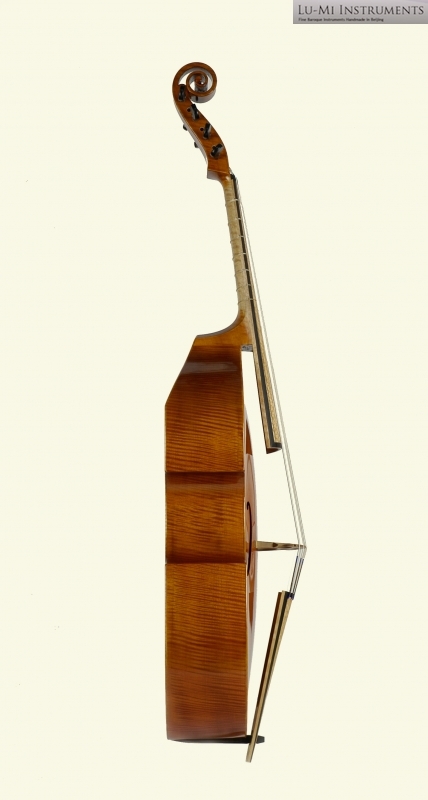 It is ideal for all plain gut strings. 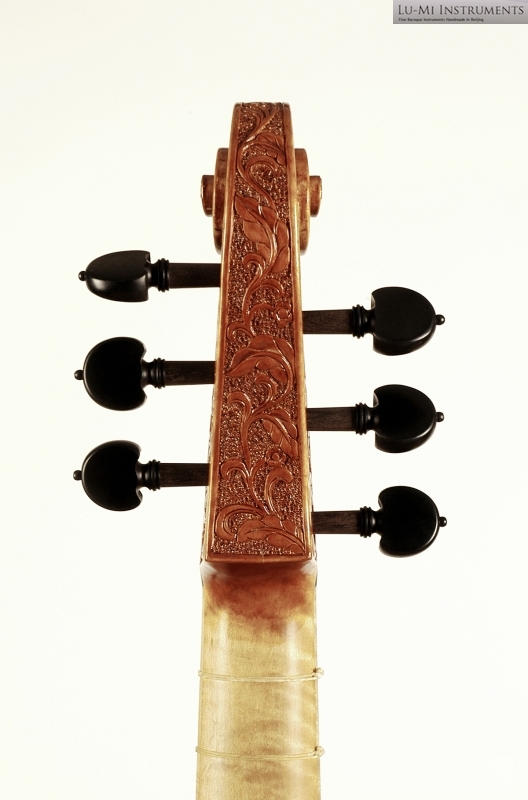 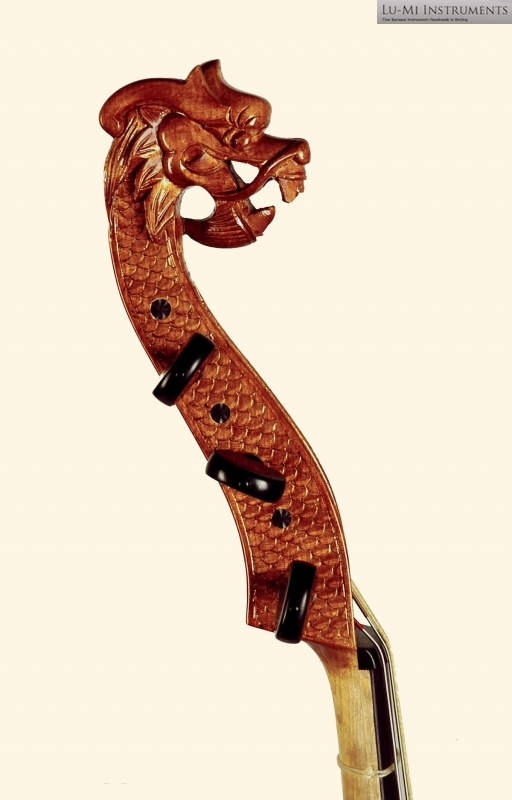 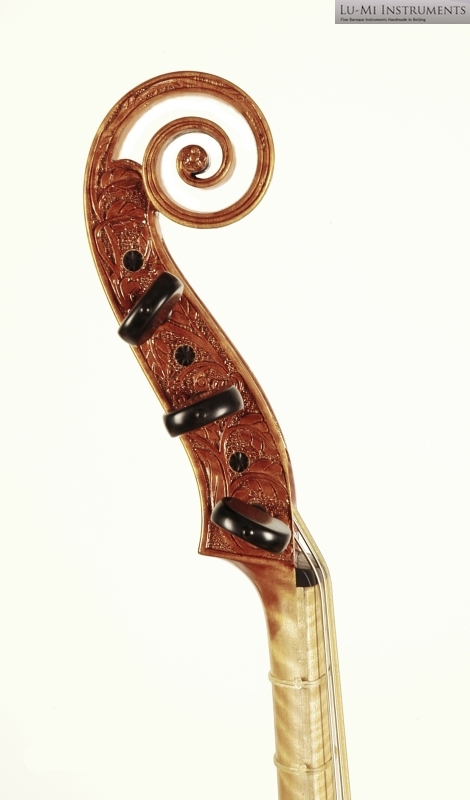 The smaller of the two Lu-Mi tenor viol models. 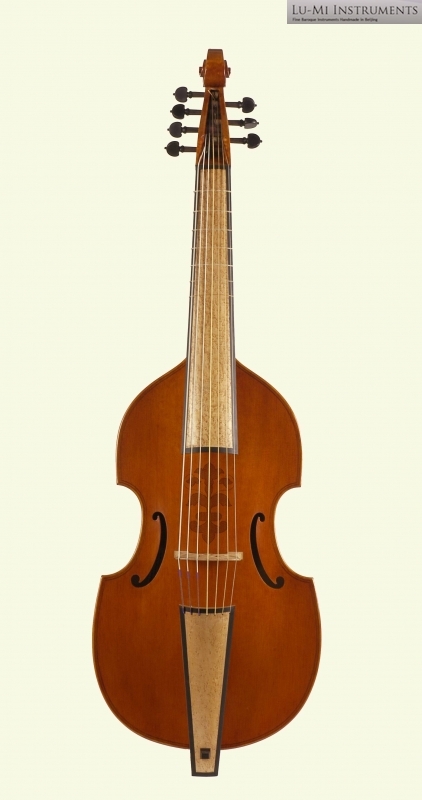 The bass register is not so good with all plain gut strings. 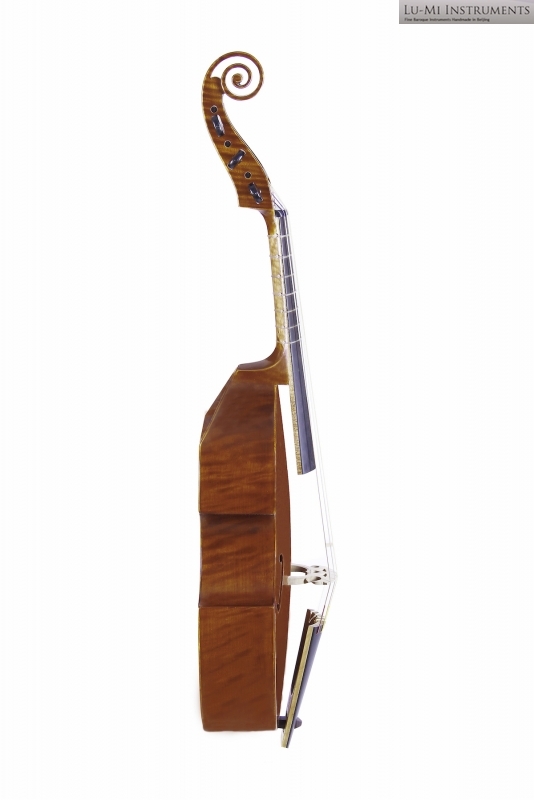 This model is the smallest Lu-Mi bass viol. 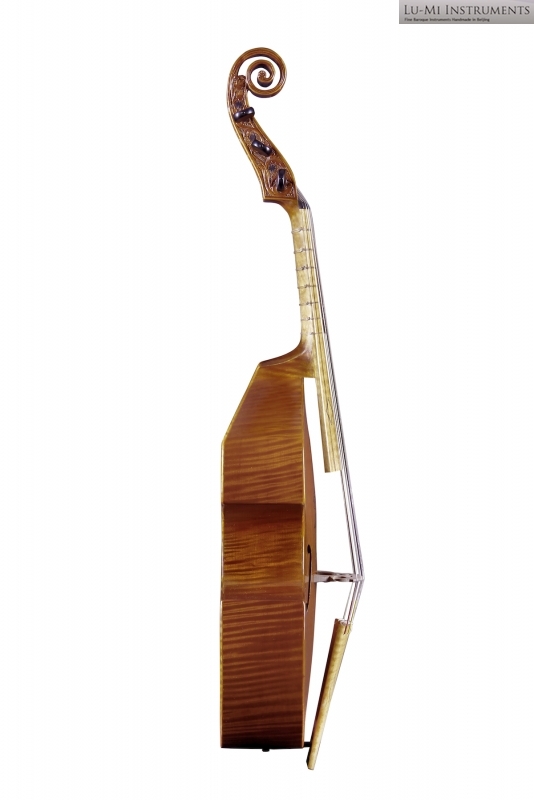 It fits well for lyra viol purposes, and it is easy to play with smaller hands. 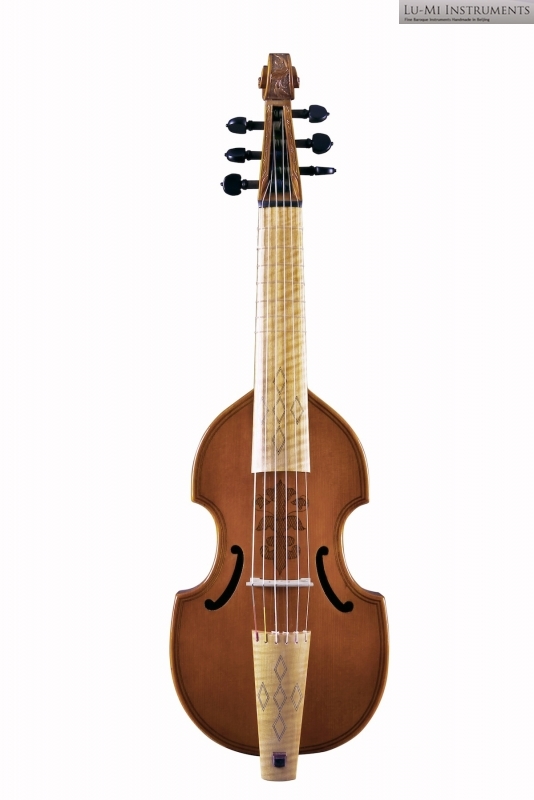 This model is the best all-round 6 string bass viol to play all kind of repertoire. This model is ideal for consort music, but since the string is so long it can be more difficult to play double stops or chords. 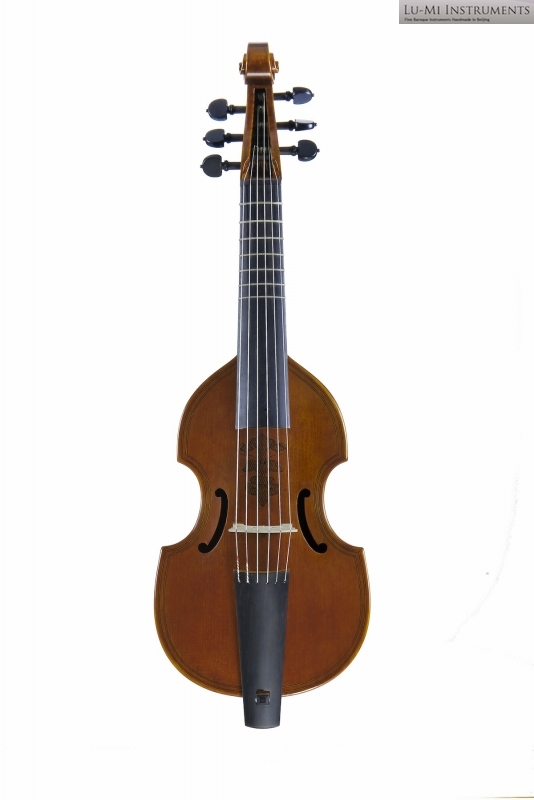 It plays well with all gut strings. 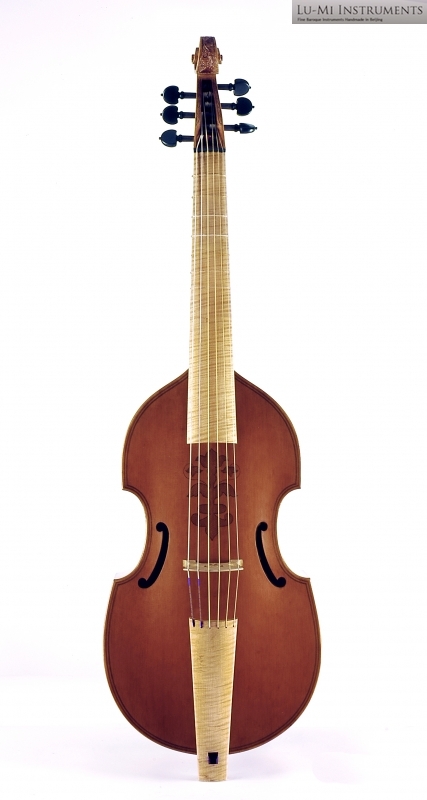 This model is ideal for solos but it plays well also as a continuo instrument. 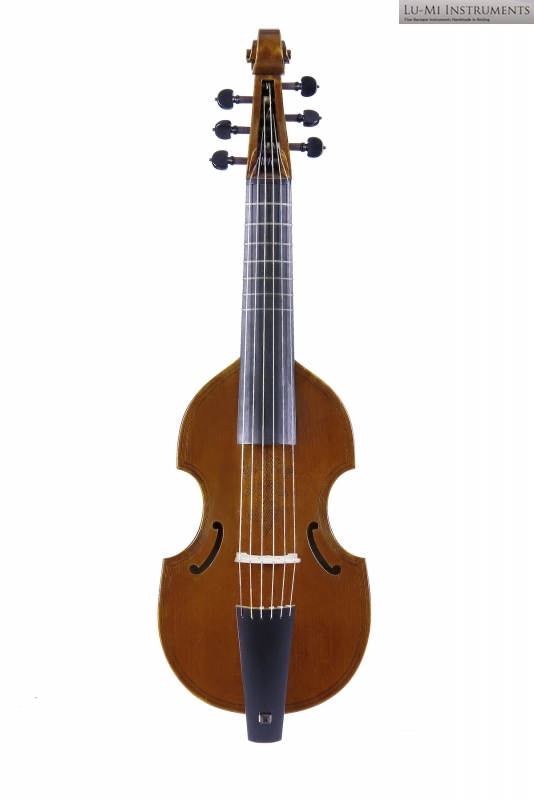 This model is ideal for continuo purposes, but it fits well also for solos.